Inside Ephesus Ancient city, you are going to visit: Odeon, Domitian Square, Memmius Monument, Nike, Hercules Gate, Curates’ Street, Trajan Fountain, Latrines, Brothel, Library and the Grand Theatre. 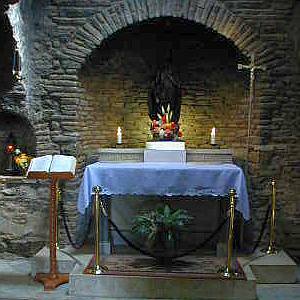 The House of Virgin Mary is believed to be the house where Virgin Mary spent her last days after Jesus was crucified. Isa Bey Mosque is a 13th century mosque which is one of the oldest Muslim buildings in the region. The Temple of Artemis is one of the seven wonders of the ancient world and once the regional center of Paganism around Ephesus.